Mp3, WAV, aif, etc. at a reasonable price and with the quality and quick service you deserve! Promos in Spanish, commercials for radio and television, phone messages, e-learning, web videos, video games, infomercials, documentaries in Spanish, etc. I have more than 15 years experience. 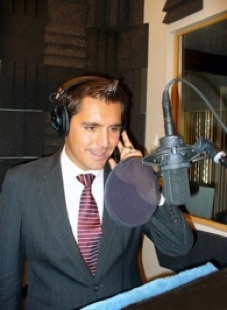 I have been a host at Univision and Telemundo.